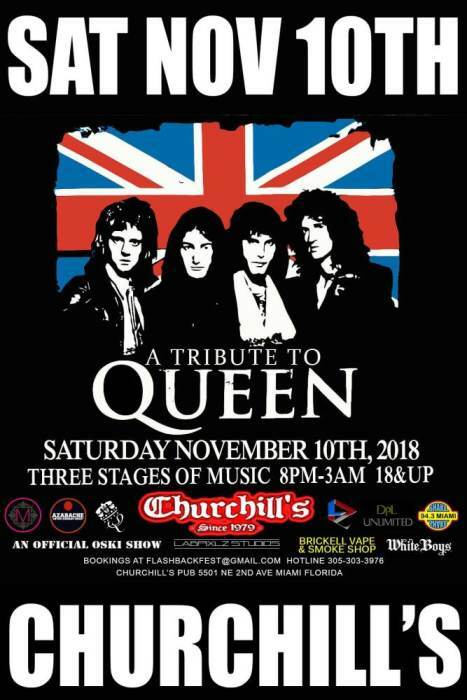 In honor of the movie "Bohemian Rhapsody" we are having "A Tribute To Queen" on Saturday November 10th, 2018 at Churchill's Pub Miami. 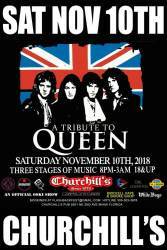 "A Tribute To Queen" will feature some of the hottest Original bands on the scene. Plus we are also having a $100 Freddie Mercury look-a-like costume contest. This night will be epic!